Well Fresh Grit fans, it’s the edition that triskaidekaphobics have been dreading. We are pinning our race number on upside down as well as avoiding mentioning the “p” word all day, lest we be blighted with years of flat tyres. Luckily there’s a bumper delivery of tech goodies to distract us from any numerical superstitions. Need a bit of cheering up and distracting from another cold front? Here’s some LOLs-at-others-misfortune thanks to Jerry of the Day. Tech Ed Tom has a soft spot for steel. So does his namesake and bonafide legend, Tom Ritchey. The moustachioed one has been making skinny-tubed bikes for almost as long as bikes were specifically designed for off-road riding. The Outback is the US company’s new gravel frameset. It isn’t available as a full bike for the time being, but our’s is one of ten built up for press and demo use. The Outback is made from Ritchey’s own Logic tubing, and is designed as dirt/road cross over adventure bike. 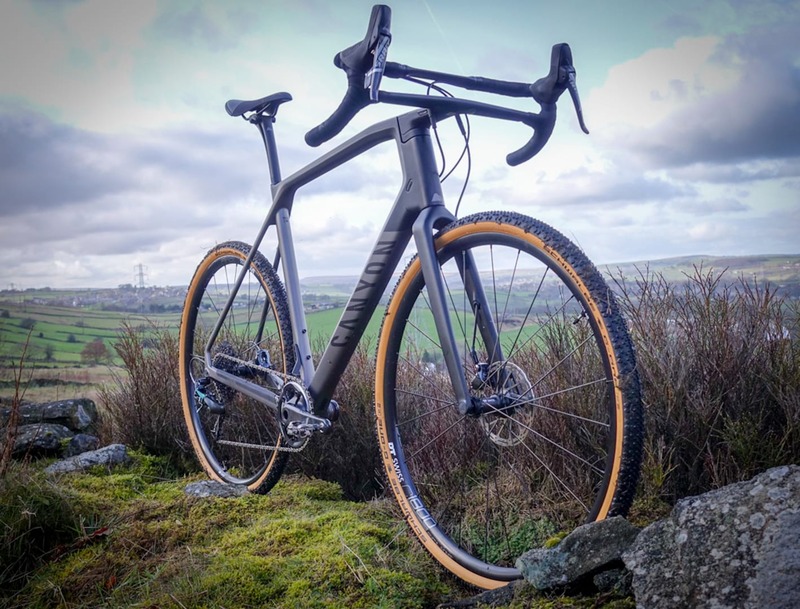 It has a relatively low bottom bracket – closer to many road bikes, but clearance for up to 40c tyres. The frame is beautifully finished with tidy joints just visible below that luscious teal paint job. As you would expect for our demo bike, the rest of the bike is decked out in Ritchey components wherever possible. Tyres to saddle to bars are in-house. As with all bikes, we’ll be doing a full first look. Time’s run away with us this week, so keep your eyes peeled next week for all the details. 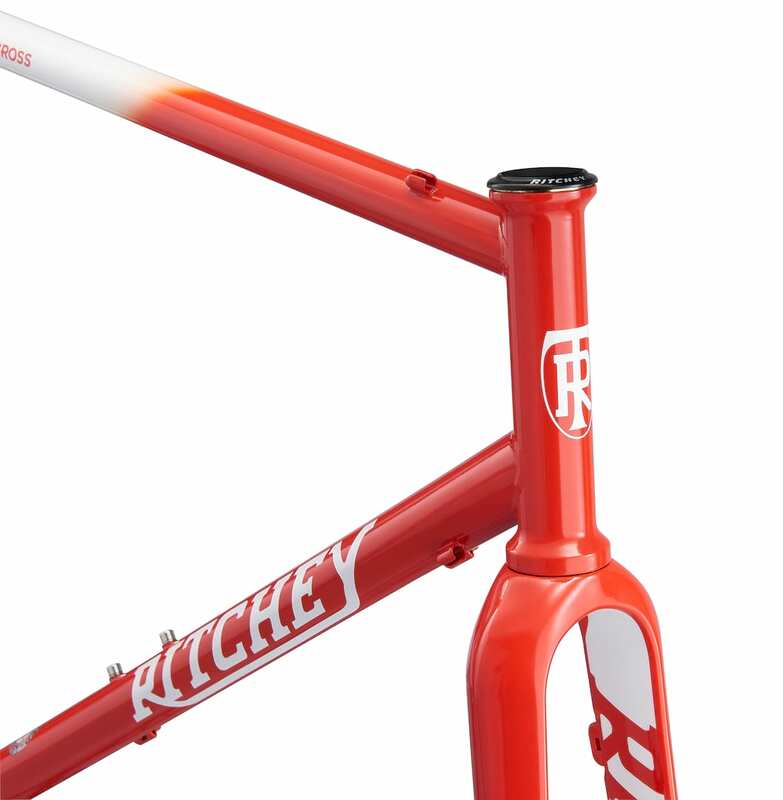 The frameset is currently only available from Ritchey via their UK dealers. Aussie Grit is a new clothing company, started by former Formula One race driver, Mark Webber. He’s always been pretty open about his love of mountain biking in particular, even while he was still at the top of the car driving game. Now he’s clearly not resting on his laurels during retirement. Here’s the story in his own words. In short though, the team behind Aussie Grit wanted to design perfect bike wear. No niggles, no minor imperfections. That’s a pretty high bar to set, so we’ll see how we get on with testing. Aussie Grit has sent us three items to test, all from their Flint bike range. The shorts are possibly the most interesting product. The baggy outers feature a sewn in padded lycra liner short, with a stretchy waistband linking the two together. The shorts are definitely on the form-fitting end of baggy, and feature a small pocket below the hip for stashing a phone or cash. Meanwhile, the jersey appears to be a relatively traditional affair. There are some detailed touches though. A lot of thought has gone into the cut, which is designed for off road use. It features a super stretchy upper half, designed to shrug off snags from branches. The jersey is a little longer than a typical road cut, which means it plays a little nicer with baggy shorts. There are four rear pockets, including a waterproof phone one. Three main pockets and a zipped, waterproof phone pocket. The jacket is fully waterproof, with taped seams. It features an asymmetric zip and a single chest pocket. At least for the bits that you can see, anyway. We’ll stay on an Aussie theme a little longer, thanks to luggage company, Henty. Their range is based around commuter bags that allow you to transport a suit without it ending up as a crumpled mess by the time you reach the office. There are a few options, including a rucksack design and a messenger style strap. All feature a similar approach – and inner bag to carry shoes, gym kit etc, and an outer suit bag that wraps around. The bags also feature pouches for laptops etc. What kind of idiot shoots a camp-patterned bag against a leafy background? The CoPilot Messenger that we have received isn’t actually available in the UK, and the camo fabric is limited edition, so sorry about that. Whoops. You can get the rucksack version though. So buy that. The CoPilot is Henty’s biggest luggage option. It’s designed for jet setters and that sort. It will hold enough for a weekend away, while still meeting hand luggage requirements. It still comes with all the features to make it a practical bag on the bike, but Henty reckon you wouldn’t want to ride too far with it fully loaded. The Henty Wingman follows a very similar design, but with a smaller overall capacity and is probably more suitable for day-to-day commuting. The first in a wee little bundle of bikepacking kit comes from Optimus. The Crux stove weighs a teeny 83g and cleverly fits inside the base of a 220g gas canister. It has a little folding burner head, as well as folding pot rests for stable brewing up. Which brings us nicely on to this compact little cook set. An Teflon-coated 1.1l aluminium pot houses a plastic mug, extendable spork and plastic lid with drainer. This all comes in a neat little sack, which doubles up as a tiny washing sink, should you wish. There should also be enough space in the pot to hold a 220g gas canister and small stove (like the Crux) as well. All that boiled water is all well and good, but what are you going to do with it? Sure, tea bags are small and light. So is instant coffee. But, sometimes, a little bit of extra weight is worthwhile, and I can’t think of a better reason than to have a decent coffee in the morning. The GSI Ultralight Javadrip lets you get your fresh bean fix for minimal extra weight and bulk and not too much hit to your wallet. Good times. Catching some zzz’s to be a tricky one when bikepacking. A decent sleeping mat isn’t just comfortable, but also insulates you from the ground. The Exped Synmat range uses microfibre insulation in the mat to bolster its warmth. It inflates via a pump sack (the delightfully names Schnozzel Pumpbag), which not only saves your lungs from doing the huffing and puffing, but also helps prevent humidity from your breath affecting the insulating properties of the mat. The 365g mat packs down small and is rated down to -6ºc. We hopefully won’t be testing it at quite that extreme, but we are tempted to bundle Tom out into the cold winter to find out how it performs. And with that, Fresh Grit Fans, we are making a charge for the departure gate to the weekend, faster than Macaulay Culkin in Home Alone 2.